Our proprietary High Capacity/volume Under-counter System is ideal for maximizing price per gallon. 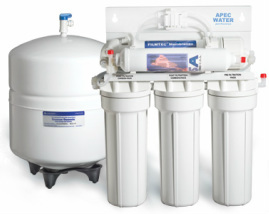 You get 3500+ gallons of laboratory grade alkaline water. The high capacity/volume under-counter system comes with all the components to hook up under your sink and can be done with or without a plumber.